You want the best, coolest products in order to promote your brand…right? We get it. And that’s a responsibility we take seriously at Hasseman Marketing. So every year, our team takes the time to attend both regional and national trade shows in our industry to find out about the latest and greatest. In that spirit, I just attend the industry’s largest trade show in Las Vegas. It’s huge! But I went to work. 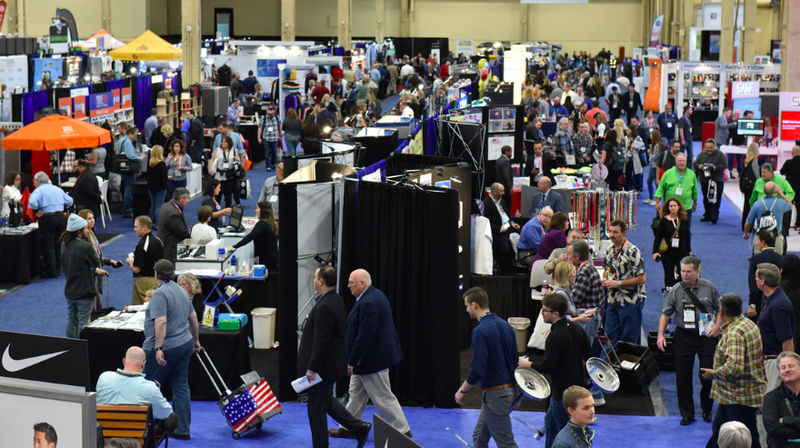 Here are just a few of the fun things I ran across in my time at PPAI Expo 2018! Selfie Drone from Origaudio: We always love the new and innovative products from our pals at Origaudio…and this year is no different. This new Selfie Drone has 5 minutes of flying time and an amazing imprint area. Check it out here. Bolteron Charging Pad: We all want to be charged up when we are ready to go, right? The Bolteron is a wireless charging pad…and more. Charge up to 3 devices wirelessly…and 2 more if you plug in. This will keep you charged all the time! Vacuum Sealed Insulated Stack Pint: Maybe it’s our affinity for Hasseman Brewing…or our love for beer…but this Stainless piece is really nice! This is double walled (just like the Viking) so it is sure to keep your beer cold for a long time! It’s beautiful and functional. Check it out here. Multi Grilling Tool: Get ready to tailgate like a champ! This really fun piece will be perfect for your next outdoor event…or to build a tailgate theme around! Very fun…and very functional. Check that out here. Parkside Smart Pack: With the Parkside Pack you can create a one of a kind promotion. It’s a great bag, full of functionality, that allows you to customize completely the message and the brand. Check it out here and be sure to watch the short video description! Bali Wind Chime: Want a totally different gift for the home that will remind your clients of you every time the wind blows? These cool new wind chimes might be a hit! The tones are very soothing and mild. Very interesting gift that will be music to your clients ears. Learn more here. And these are just a few fun products that we came across at the PPAI Expo in Las Vegas! Want more ideas for your next campaign? You got it! Just email us here and we can schedule a consultation! Oh…and if you want to make sure you never miss an update, please sign up for our VIP email here.